This entry was posted in Advocacy, My Stage IV Life, Social Commentary and tagged 30%, @Judy_KomenCEO, @SusanGKomen, advocacy, Attitude, Biopsy, bone metastasis, breast cancer, Cancer Culture, Elephant in the Pink Room, Exemestane, Eye of Mordor, Information resources, jinx. 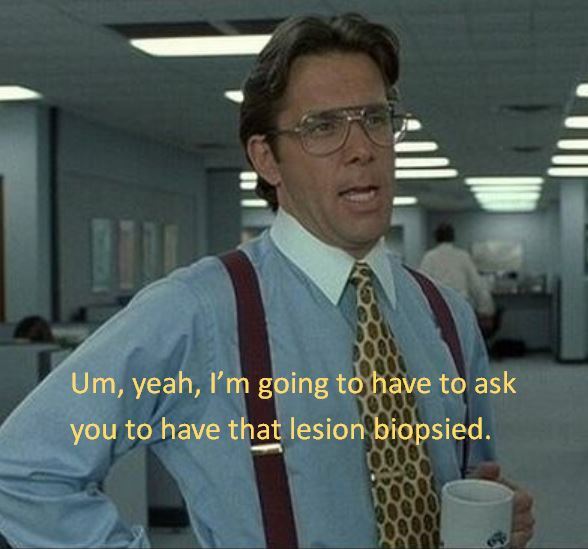 jinxed, Komen, Letrozole, lytic lesion, Mammogram, metastasis, metastatic breast cancer, metastatic disease, metastatic research, Metavivor, PET/CT, Philosophy, pink ribbon, Research, Stage IV, stage iv breast cancer, superstition, superstitious, support, Susan G. Komen, Susan G.Komen for the Cure, Varian. Bookmark the permalink. Scorchy, you hit the nail on the head. First of all, I’m so sorry about that damned lesion. Secondly, Komen has really done the world a disservice by talking up the pink and not really addressing metastatic disease. People like you have educated me, and I stand with you. I wrote about the Kohl’s/Komen debacle in my recent post. http://bethgainer.com/kohls-cash-rich-ethics-poor/. I’m fed up with the whole pinking up and thievery going on. I read your post and loved it. We’re on the front lines always. There is no break. And you never know when it’s going to make an aggressive turn. And all the while Komen is out there bullying the community and most recently setting their sights on METAvivor. We stand together! Love you, Beth! And feeling a lot of anger towards Kohls and Komen and glad wonderful people like you are there to speak and speak loudly about all of this. You go, girl! Let’s all poke a finger in the Crossed Eye of Mordor! Of course I stand with you. And we’ll be standing together on July 16 too. Transportation included. Let me know how I can help. In. any. way. I love the entries you’ve made on #talkpink. Even though there is no Kohl’s or Komen in my part of Canada, I still find me and my mets bent out of shape over the whole thing. Thanks for your inspiration! Thank you for this post. I’m standing with you. I’m appalled that some 45 years after my mother’s radical mastectomy, there has been zip, zero, zilch progress towards a cure or even lowered incidence of the disease. 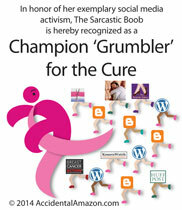 Please let me know how #occupythecure can help #occupyKomen! We need to stick together! Cross pollinate! Very busy bees! I’m sorry that news soured your surge in energy … which I know could never take away from your beautiful flame that burns bright for all who are in the trenches of this wretched disease. I admire you and thank you SO much for your valuable voice in this community. You are love and light to many! Thank you for sharing. The information your provide has been informative and eye-opening as it relates to the failure by Kommen to properly address, educate and advocate for those who have been diagnosed with metastatic breast cancer. A six-year breast cancer survivor, treated by chemo and radiation, the cancer has not metastasized. But thankful to recent information acquired through reading your blog along with others relating to breast cancer, after five years of believing my cancer was cured, I find there is a 30% chance of recurrence, metastatic, even with my diagnosed Stage 1 Cancer . I am grateful to you and the other breast cancer bloggers, I now know the importance of lifestyle changes and healthy living to combat recurrence. I applaud you for your advocacy. You have such a wonderful way of phrasing things. Eye of Mordor – I could picture it! As for the candle – it’s lit. My RT looked at me like I was weird. Clearly hasn’t a clue as to things Hobbitable. And thanks! You know I’m in, Scorchy. As far as occupying, do you mean commenting on the Komen blog? I can do that. YEP. Or tweeting To @SusanGKomen with the hashing # Komen. Anytime you get that disgusted pink feeling? Well, that’s when you tweet. I don’t have a Twitter account but I did post something yesterday in “Share your story” on their website. Part of my story was being surprised about the high rate of metastatic cancer and expressing my hope that funding priorities in their organization will shift. I’m hoping that they publish it. Interestingly, when I looked at their blog, I could not find a way to leave a comment. And be the change, yes. You rock. And I mean that, sincerely, from my heart. Crossed eye of Mordor – well #%€¥, that’s not what any of us hoped for. I don’t know why metastatic cancer is so poorly represented other than thinking its because there’s no happily ever after and much of humanity still can’t face that reality. 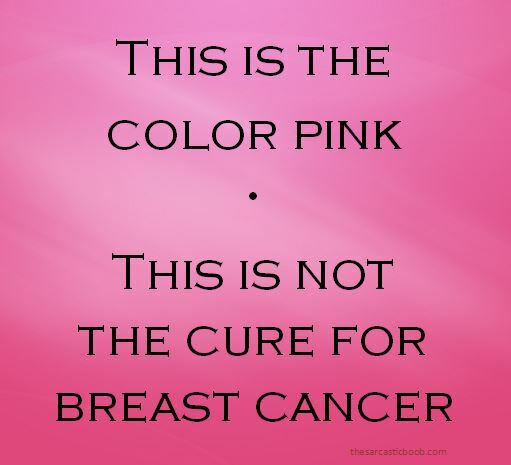 It doesn’t sit well with pink (but then cancer never did, it’s just the media and the marketeers who think it does). It’s a subject close to my heart for many reasons so add this candle and before you know it well have a roaring fire. I jinxed myself recently as well. In mid-February I told my therapist everything was calm in my life and nothing was going wrong. As I left that appointment my father left me a message that my mother was back in the ER and then he got sick and his chemo got delayed and my health has more twists and turns. I go back to my therapist next week and I hope that ends the jinx. Life with cancer is never as good as we think. Things are always lurking in the background. But think how happy you were when you were telling everyone you were doing so well. Hang in there.